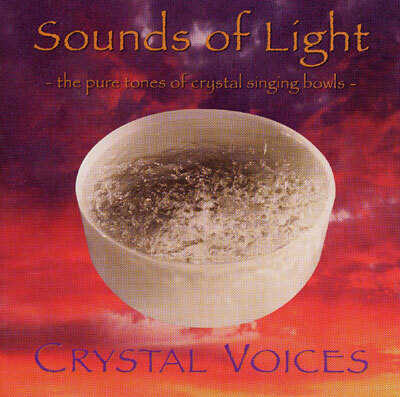 A powerful hour long crystal sound attunement that bathes the body in luminous light....harmonic waves of fifth intervals and octaves. Highly recommended for massage, yoga, reiki, yoga, meditation. Deborah Van Dyke is a visionary teacher and sound healer whose impassioned work with sound as a key for higher consciousness merges with her love for nature. She is the co-creator of top-selling CRYSTAL VOICES CD's ~ CRYSTAL VOICES and SOUNDS OF LIGHT : definitive classic sound healing tools in their field. As well as teaching Sacred Sound Healing Intensives, Deborah has created and performed Sound & Light ceremonies at the Vancouver Planetarium Star Dome ~ celebrations of the Solstice and Equinoxes, where participants journey through the starry fields of space accompanied by the tones of crystal singing bowls, harmonic toning and chants. She lives at the base of a mountain, on the edge of the Pacific ocean, on an island in B.C. It is from this wilderness sanctuary that her new book and CD, Travelling the Sacred Sound Current, have been birthed. A book is available. Please see our book section.